Originally envisioned as a Ferrari competitor equipped with a special 550 bhp (410 kW; 558 PS) version of the S70 engine, essentially a bored out version of the M70 with experimental multi-valve cylinder heads. A common misconception is that this engine powered the McLaren F1. However, when this was suggested to McLaren’s designer Gordon Murray, the idea was rejected because the engine was too heavy and long for the McLaren F1. Rather, variations on the original S70 used on the 850csi, the S70/2 and S70/3 were used for the McLaren F1 (The variation used on the M8 prototype was the S70/1 engine). The project was eventually scrapped because BMW decided that there was no market for an M8. 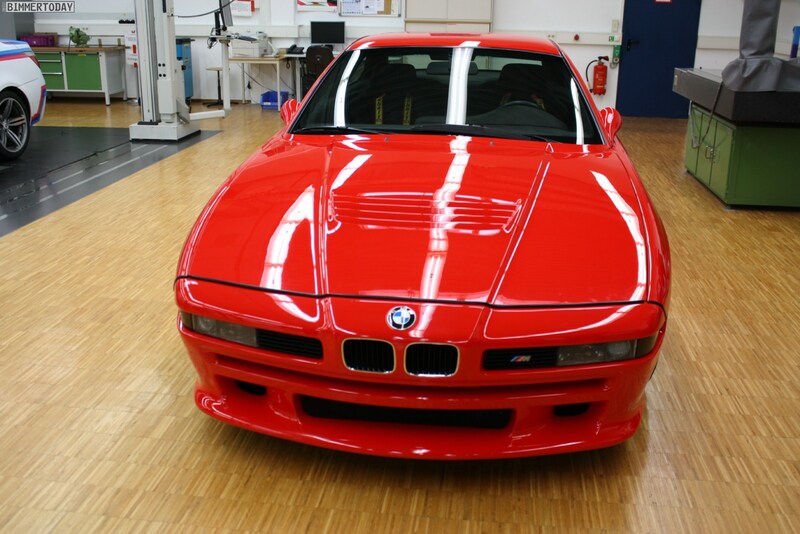 The only prototype ever produced (one that was reportedly not even road safe) was locked away by BMW in the company’s Giftschrank (poison storage) . BMW and the M Division had strongly denied that the car was even a possibility since the initial stages of its development. A world exclusive feature in the February 2010 issue of BMW Car Magazine, however, revealed that the M8 prototype still exists in its entirety. The car was unveiled for the first time in front of journalists on July 2, 2010 at the BMW Museum in Munich. The only public showing of the car happened on August 17, 2012 during ‘The Legends of the Autobahn’ car show held in Carmel, California. The car was specially shipped from Germany for the appearance. 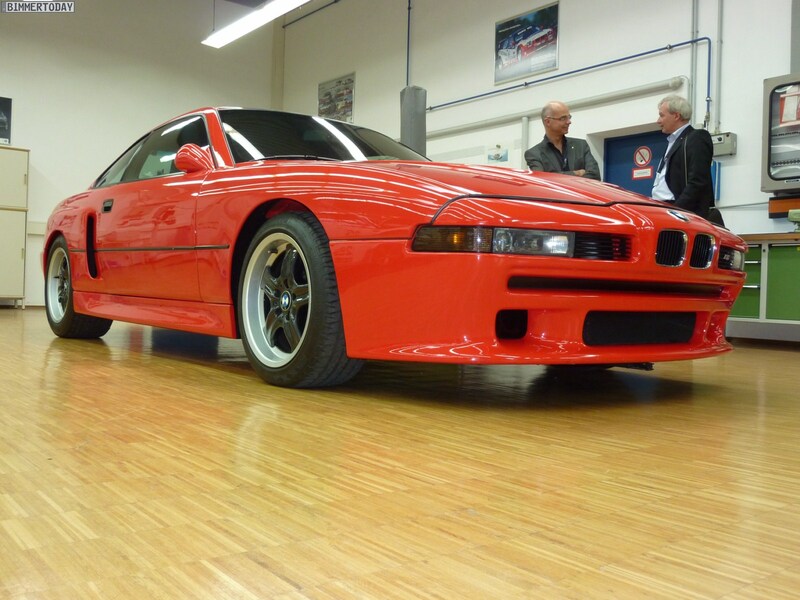 While the M8 was never produced, it is interesting to note that the 850CSi was also tuned by BMW’s M division. Aside from sporting a M-tuned engine (as identified by the S suffix instead of the M prefix that a non-M tuned engine would wear), the car’s VIN identifies the car as being built by BMW Motorsport (identified by the WBS prefix) instead of BMW AG (WBA prefix). This effectively identifies the 850CSi as essentially a detuned version of the M8.